Dr. Rehman is the Associate Chief of Staff for Education at the Phoenix VA Healthcare Systems and Professor of Internal Medicine and Professor of Informatics at the University of Arizona College of Medicine-Phoenix. He was formerly the Chief of primary Care at the Ralph H. Johnson VA medical Center. He received his MD from University of Punjab, Pakistan with Gold Medals in Physiology, Forensic Medicine and Pathology. He did his Internal Medicine Residency at Nassau University Medical Center/SUNY @Stony Brook, New York and General Internal Medicine/Medical Education Fellowship at the Medical University of South Carolina. He then graduated from Harvard University's Executive Fellowship Program. 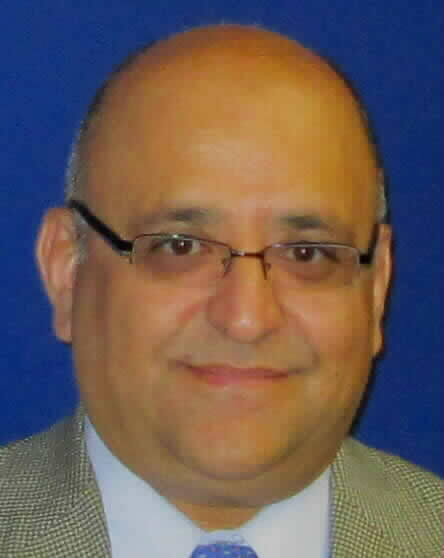 He is board certified in Internal Medicine, Hypertension and Clinical Informatics. He is also a Fellow of American College of Physicians (ACP) and American Academy on Communication in Healthcare. The American Society of Hypertension designated him a Clinical Specialist in Hypertension. He is a certified Mentor for the Department of Veterans Affairs. Dr. Rehman is a well-recognized expert in "Healthcare Communication", "Balancing Work and Life" and "Hypertension". He has taught courses/workshops around the country as well as in many countries outside the USA. He was invited to give the Commencement Address on the graduation ceremony of Medical University of South Carolina class of 2013. He have received numerous awards including Best Doctors in America ® award, David E. Rogers Teaching Award from Society of General Internal Medicine twice, Department of Veterans Affair Excellence in Medical Education Award, Medical University of South Carolina Best Teacher Award, American College of Physicians (ACP) Young Physician Award, ACP James A. McFarland Award in Excellence in Teaching and Humanism, ACP Laureate Award, ACP Arizona Chapter Leader of the Year Award and Outstanding IMG award. He has been inducted in the Alpha Omega Alpha (AOA) Medical Honor Society. He has been inducted into the Gold Humanism Honor Society. He has received the Department of Veterans Affairs Gerald Schmitz Award and Certificate in Recognition for important contributions to VA's education mission. He has been elected the President of the Society of General Internal Medicine, Mountain West Region and Vice-President of the American Academy on Communications in Healthcare. He was also the Conference Chair for the International Conference on Communication in Healthcare. He is the Chair of ACP Public Policy committee. He was the member of ACP Council of Young Physicians (CYP) and was also the Chair of ACP-SC Chapter CYP, Chair of ACP-SC Chapter Health and Public Policy Committee (HPPC). He is currently the Chair of ACP-Arizona chapter HPPC and member of ACP national HPPC. He has been a member of the scientific committees for annual sessions of SGIM, AACH, SMA, ACP (South Carolina and Arizona chapters) for the last many years. He has participated in numerous research projects. He has published hundreds of articles and book chapters. Dr. Rehman is reviewer for many scientific journals such as Annals of Internal Medicine, Journal of General Internal Medicine, and American Journal of Hypertension etc. He is the associate editor of Medical Encounter and was the editor of Journal Scan (online journal).